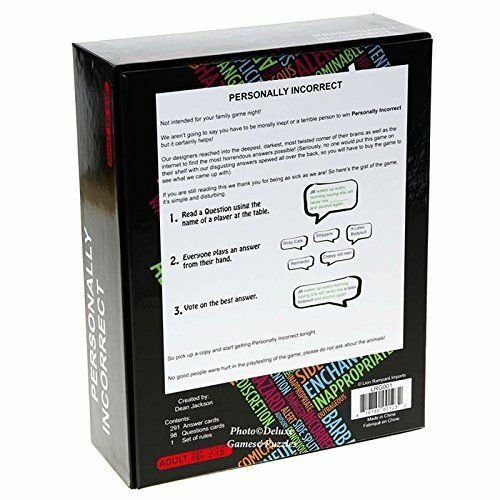 Not intended for your family game night! 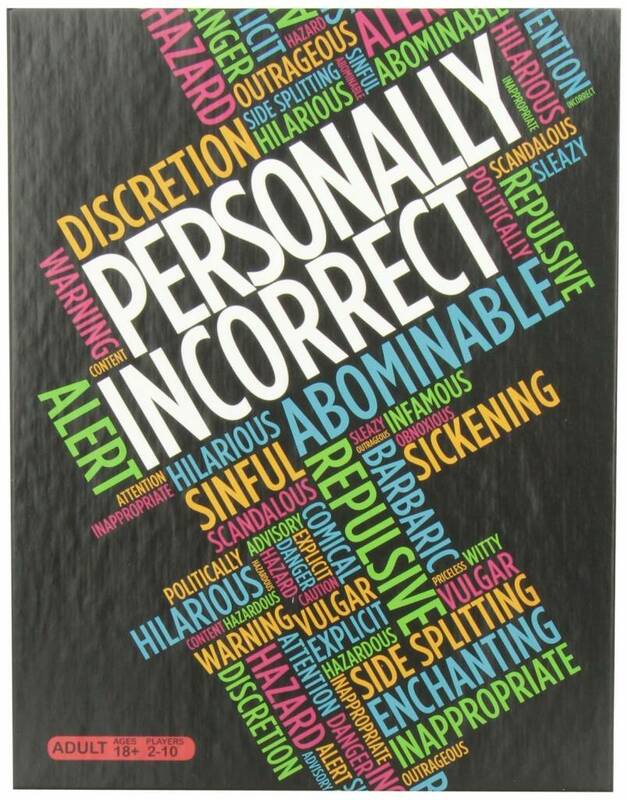 Personally Incorrect, the appalling game that will make you hate what you think and love what you play! Ever played a party game that just got more and more offensive through the night? Me too! So instead we decided to start one that way. This game is sexist, ageist, racist, and downright dirty. Basically if you get offended by anything, go play some other lame game! Not only do you get to make up absolutely outrageous allegations, but you get to make them up about someone sitting right at your table! If you're playing with close friends - watch out! Inside jokes and embarrassing facts might just take center stage. 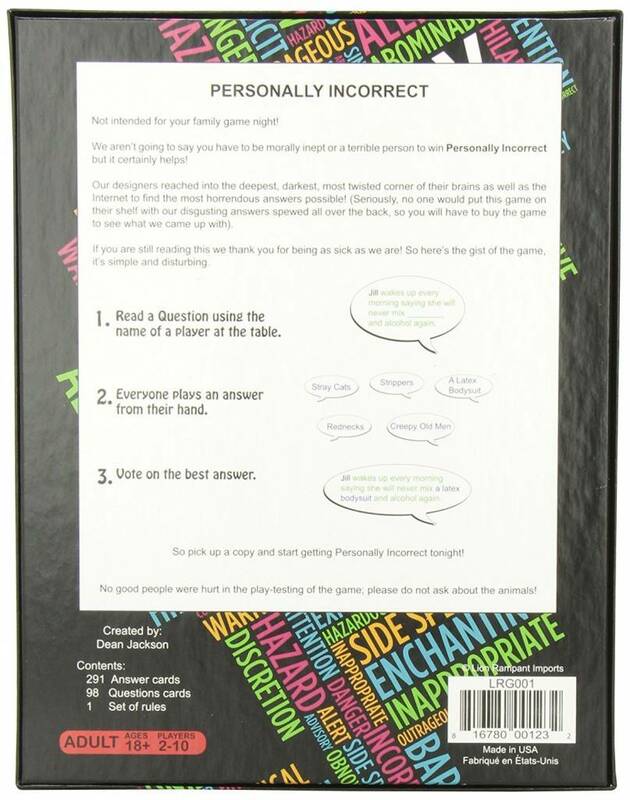 Unlike similar games where the question reader is king, players vote to decide who handed over the best answer.